Asthma is a chronic disease involving the airways in the lungs. If you have asthma, your airways are always swollen, becoming more inflamed when something triggers your symptoms. This inflammation makes it more difficult for you to breathe and can cause symptoms of coughing, wheezing, shortness of breath or chest tightness. 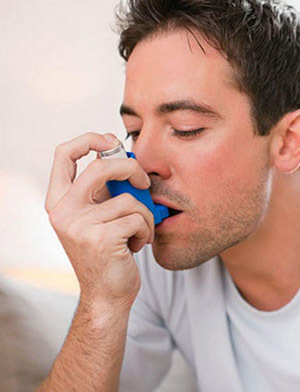 Asthma is diagnosed based on your medical and family histories, a physical exam and testing. It’s important to share details on which members of your family have asthma symptoms as well as when and how often you experience symptoms. Your doctor will work to determine the severity of your asthma—intermittent, mild, moderate, or severe – which will help determine your personalized care plan. Use this tool to calculate your child’s asthma risks and bring this information to his/her appointment.